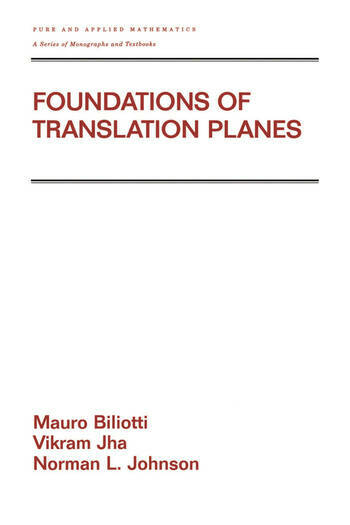 An exploration of the construction and analysis of translation planes to spreads, partial spreads, co-ordinate structures, automorphisms, autotopisms, and collineation groups. It emphasizes the manipulation of incidence structures by various co-ordinate systems, including quasisets, spreads and matrix spreadsets. The volume showcases methods of structure theory as well as tools and techniques for the construction of new planes.